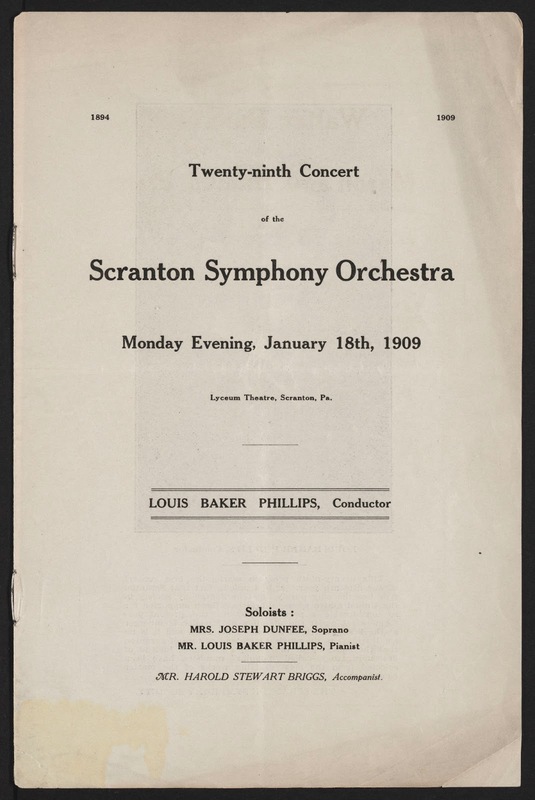 This was the 29th concert of the Scranton Symphony Orchestra was held on January 18, 1904 at the Lyceum Theater. 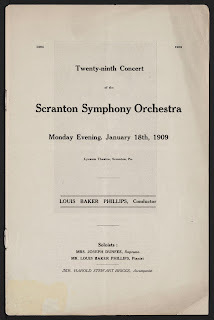 This concert was conducted by Louis Baker Phillips who was the conductor for other concerts as well. There were two parts to the program. The first part included a piece by Beethoven, and in the second part there was a piece by Schubert along with some others.